Knowledge, Certification & Technology Matters! The area's exclusive dealer for 100% American made Ecowater residential & commercial water treatment systems for conditioning, softening and drinking water solutions; featuring the best warranties in the industry. Simply put, you deserve healthy, clean, odor free water and we have the products & expertise to provide it economically & consistently! Problem Water can mean many different things. Sometimes you will need more than just a water softener to correct your problems. Learn More about other options you may need to correct your problem water. All-Rite Water is proud to announce that it has earned the home service industry’s coveted Angie’s List Super Service Award (SSA). This award honors service professionals who have maintained exceptional service ratings and reviews on Angie’s List in 2018. Recently, we were notified we won Hometown News' Readers Choice Award for the 2018 Best Water Treatment Company in all the areas they publish! This has happened only a few times in their history! We are so very grateful to all of you who have supported us! Thank you from the bottom of our hearts for recognizing our efforts and making this possible. Thank you to our customers in Barefoot Bay, Micco, Grant, Sebastian, Vero Beach & Ft. Pierce & Port St. Lucie!! 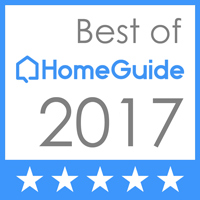 We are so excited to announce that All-Rite Water has been chosen to be recognized by HomeAdvisor for exemplary service!! This award honors top-notch professionals who provide extraordinary quality, service and value in the home improvement and maintenance industries. “Millions of homeowners across the nation trust HomeAdvisor to help them find a dependable, qualified professional for their home improvement projects,” said HomeAdvisor’s President Craig Smith. “Between outstanding work practices, excellent customer service and overall value, the service providers that receive our “Best of” award consistently demonstrate this sense of quality.” Award recipients were selected based on positive reviews earned in quality of work practices, customer service and value.